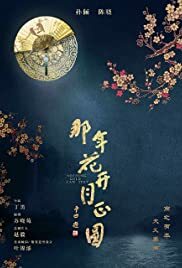 A drama about Mi Yue, the outstanding female politician in Chinese history, who made a great contribution to the unification of China two thousand years ago. A young girl searches for the truth about her older sister's death by becoming a seamstress in the Emperor's harem. As Sun Li is my favourite actress I am always going to be biased in my reviews. I gave this drama 8 stars as even though it was very well acted the plot often becomes formulaic. I do admire chinese dramas in the fact that they will kill main characters which reflects real life (good people die daily) As in everything she appears in Sun Li captures the actions and movements of the person she is portraying and their development.